A good artcle on batteries in Power Electronics, triggered by the Samsung Galaxy Note 7 Debacle, and the not to distant past mess with the ‘hover board’ craze. The article links to a pretty detailed recent study of coming high power density battery technologies. The eMagazine http://www.powerelectronicsnews.com/ is a good source on power electronics across the power and technology range. A good way to keep up on a rapidly changing field. 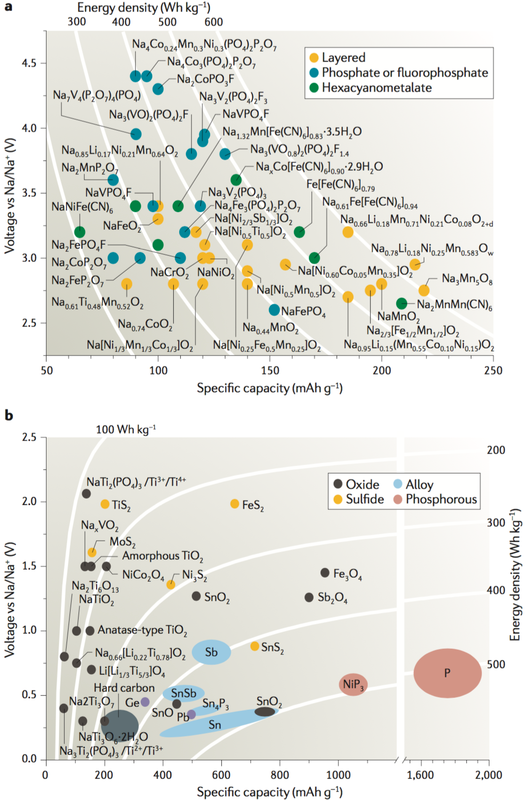 The article talks about a variety of battery chemistries including sodium as shown in the following graphic.